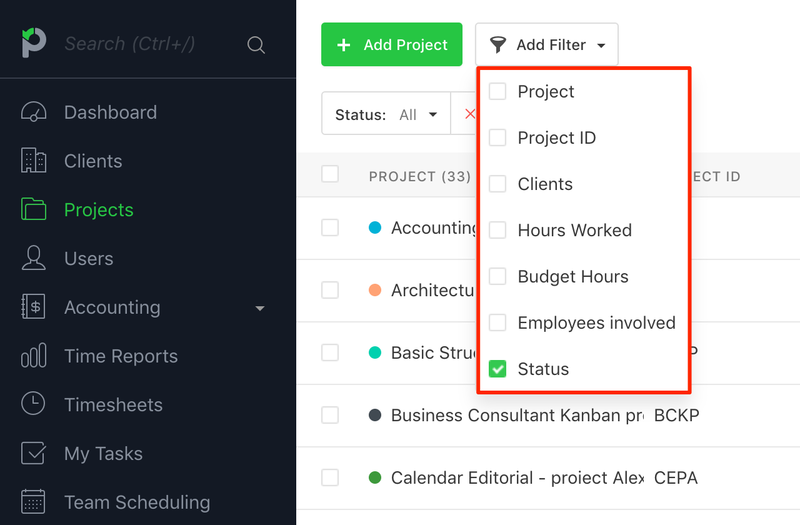 How do I filter the projects list? If you have a large number of projects, the easiest way to find the one you need is to use the filter option. In the Simple view you need to click on the filter icon, type in a couple of letters and find the desired project. 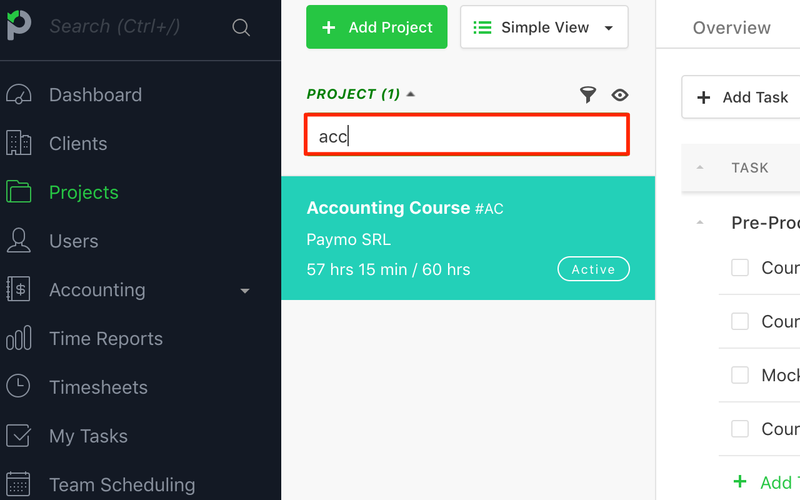 You can filter them based on project or client name and if you click on the eye icon you can select to display them by status (Active, Proposal, Archived etc.). If you're in Table view you need to click on the Add filter button and select the desired filter.